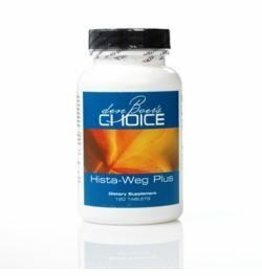 Kinder-Hist is our popular Hista-Weg Plus in convenient children's chewable form. 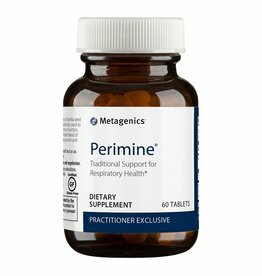 This naturally flavored supplement is a combination of vitamin C, quercetin, stinging nettles leaf, bromelain, and N-Acetyl Cysteine to give your child the latest advancement for treatment of allergies, sinus and lung congestion*. Kinder-Hist acts as a histamine stabilizer and drives away excessive mucus*. These properties allow inflamed mucus cells to settle down, thereby positively affecting allergies and inflammation of especially the skin, sinuses and lungs. 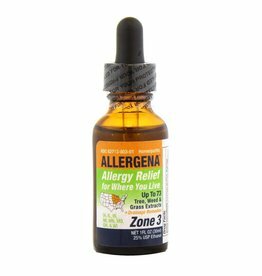 Unlike allergy medications, this product has no side effects, is highly effective and is non habit-forming. Other ingredients: Natural Cane Sugar, Xylitol, Natural Flavors, Stearic Acid, Sodium Stearyl Fumarate, Silicon Dioxide, and Rebaudioside A (Organic). 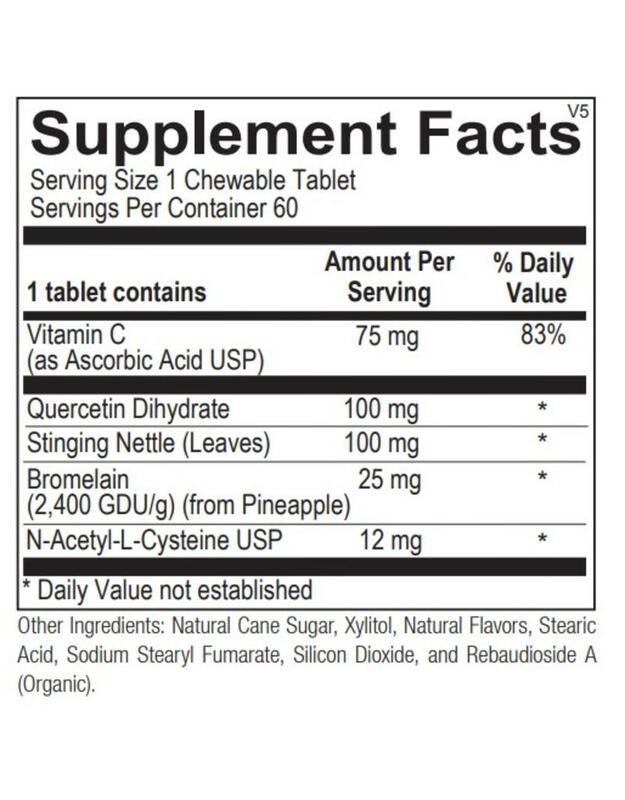 Recommendations: As a dietary supplement, 1-2 tablets two times per day away from food or as recommended by your health care professional. 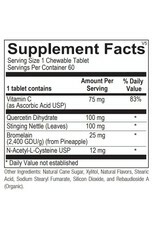 Warnings: Cease taking this product and consult your physician if you have negative reactions upon ingestion.